Vintage shaving stand with cup and brush holder. 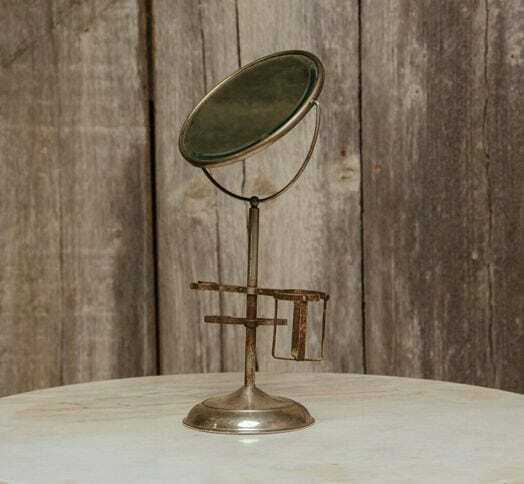 Mirror tilts and swivels to just the right angle. Nickel over brass. Black leather embossed with a stylized flower pattern backs the reverse side.